Once a year The Worldwide Hospitality Awards rewards the leaders of hospitality industry, and the winners are chosen by over 500 hospitality professionals and experts. This year the gala was held in Paris on 8th of November, and Arctic TreeHouse Hotel was voted as the winner in the category of Best innovation in hotel concept. 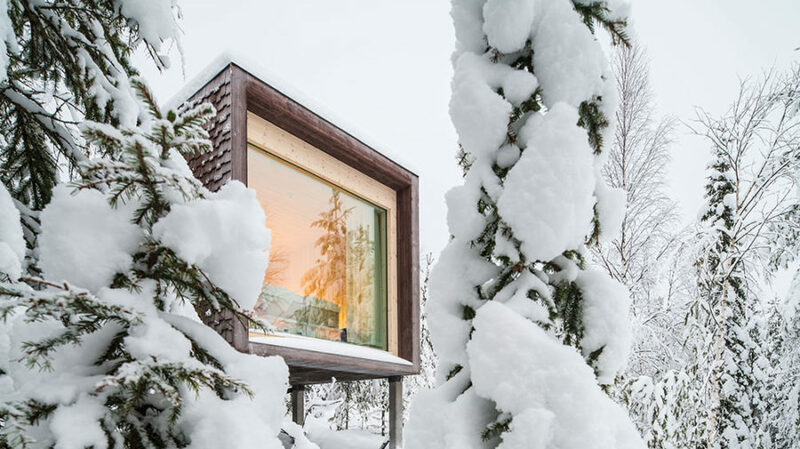 The concept of the Arctic TreeHouse Hotel is designed in cooperation with Studio Puisto and daily brought to life by the whole team in the hotel. CEO Ilkka Länkinen from Paris: “Wonderful recognition from the industry professionals to our top team! Professionals from all over the world had gathered to Paris, and especially their votes were the ones that awarded us”. In December Arctic TreeHouse Hotel will be also awarded in the esteemed World Luxury Hotel Awards -gala in one or several categories. The hotel is nominated for Luxury Design Hotel, Luxury Hotel and Luxury Small Hotel -prize. The winning category/categories will be revealed in the gala event in Switzerland. Arctic TreeHouse Hotel is nominated in two categories for AHEAD*awards, which is highly recognized by architects and designers. Hotel is shortlisted for Resort Hotel as well as added by the judges to the category of Visual identity. The award ceremony takes place in London on 20th November, where all the nominated get together for the reveal of the winners. Among awards and nominations, Arctic TreeHouse Hotel will celebrate its 1st year anniversary on 19th of November. Within a year the hotel has gathered much interest and excitement around the world, and especially the value of the design has been brought up continuously.